Located on the mezzanine floor of the NJV Athens Plaza, The Parliament Restaurant offers guests views of the vibrant Stadiou Street and the classy pedestrian Voukourestiou Street. 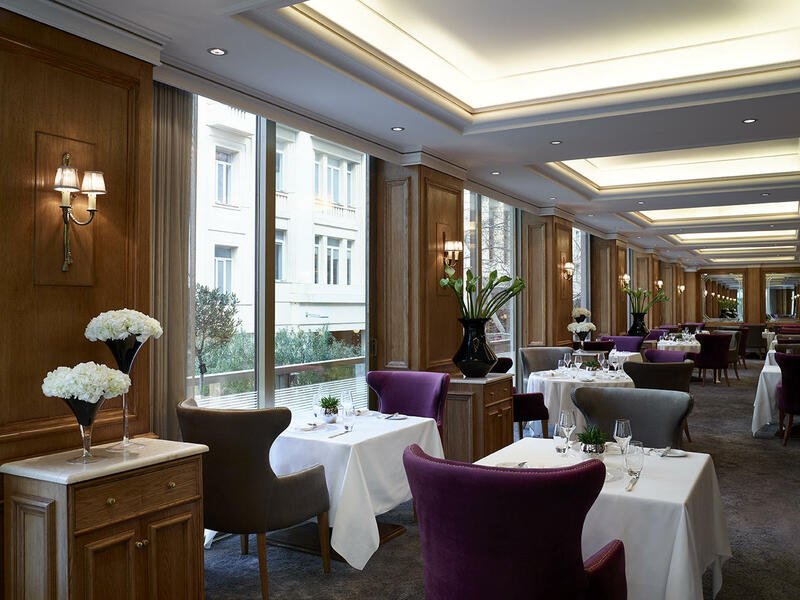 This newly renovated dining venue provides guests with a luxurious dining service during their stay. 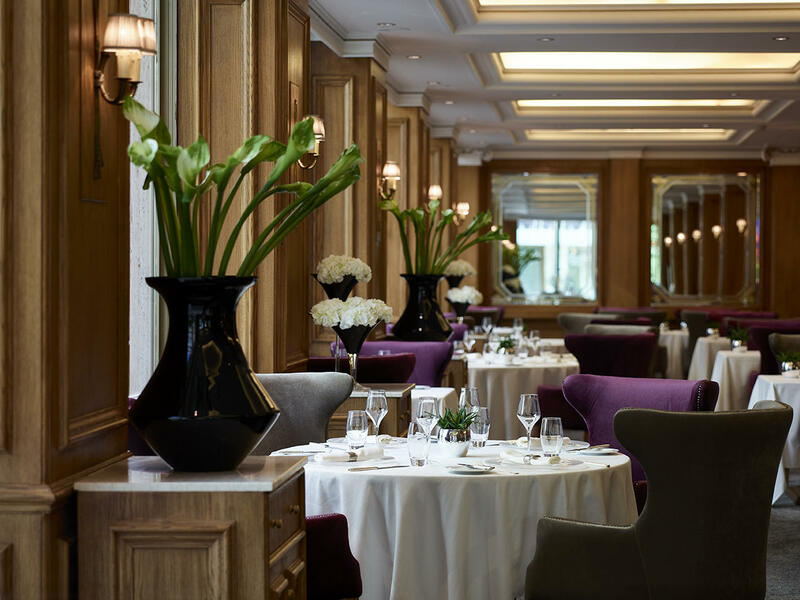 Elegant and sophisticated, The Parliament Restaurant features cozy armchairs, soft lighting, transparent curtains and surrounding mirrors that create a warm ambiance. In the early hours of the morning, guests can enjoy a rich American-style buffet breakfast of hot and cold dishes, teas, coffees, pastries and fresh natural juices. For all our guests who wish to experience the Greek healthy way, we invite them to taste as well all the delicious authentic choices of our Greek Buffet breakfast. 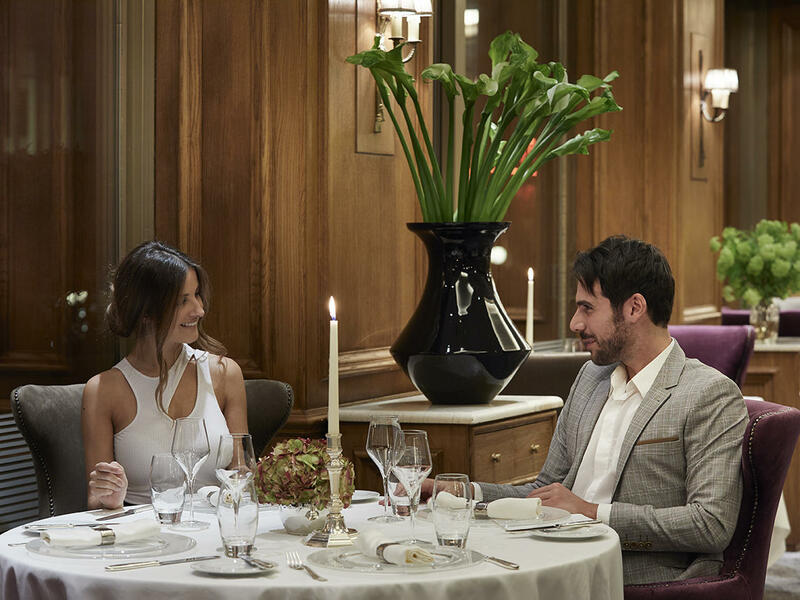 At lunch and dinner, a personalized service is offered, as well as an affordable menu of delicious Mediterranean cuisine made with fresh ingredients. Our attractive menu includes an assortment of mouthwatering recipes created with modern-style cooking techniques, as well as fresh salads, seafood and decadent desserts. 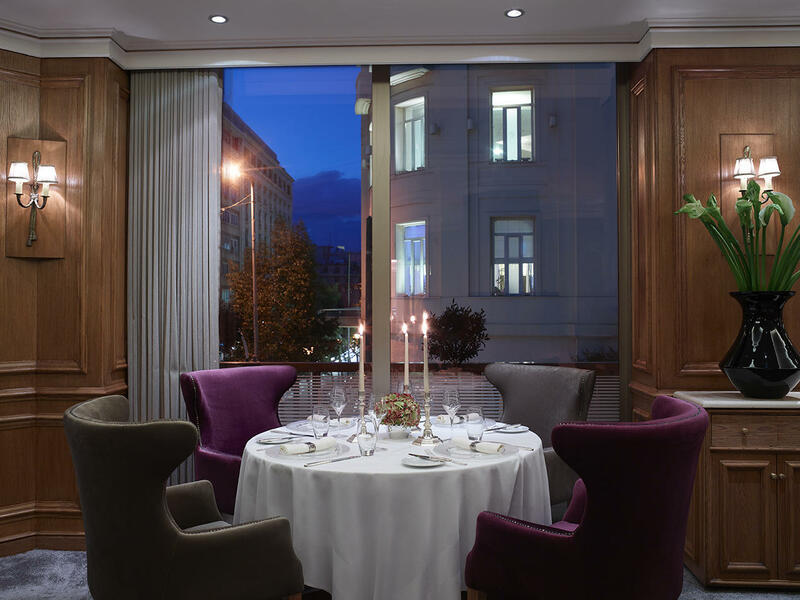 Known as one of the best restaurants near the Acropolis in Athens downtown, the NJV Athens Plaza Hotel's Parliament Restaurant, also has an extensive collection of fine wines that can be paired up with any of our delicious dishes.